Eileen Mary Meagher, Trivedi Global Inc.
Meagher EM, Trivedi MK, Branton A, Trivedi D, Nayak G, et al. 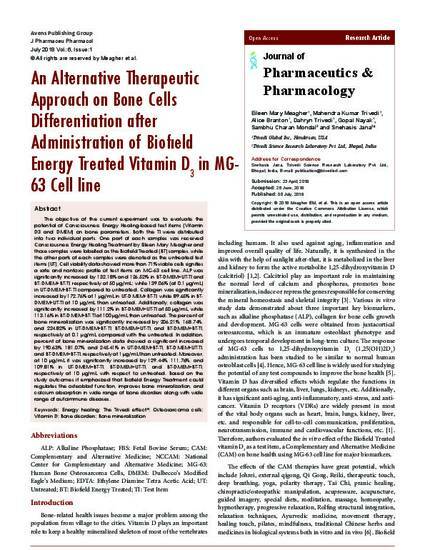 An Alternative Therapeutic Approach on Bone Cells Differentiation after Administration of Biofield Energy Treated Vitamin D3 in MG-63 Cell line. J Pharmaceu Pharmacol. 2018; 6(1): 6.